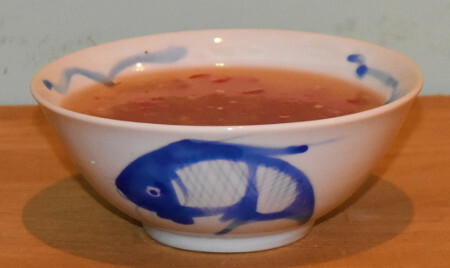 I am an absolute sucker for Thai flavours, and so sweet chilli sauce is naturally one of my favourites. Of course this isn’t a classic barbecue sauce, but it complements so much barbecue food really well thanks to all the delicious tangs of sweet and sour and spicy. Now this is a really easy sauce to make, and of course tastes so much better than any shop bought one. I often find shop bought sweet chilli sauce very one dimensional, with that one dimension being sugar, and a lot of it! 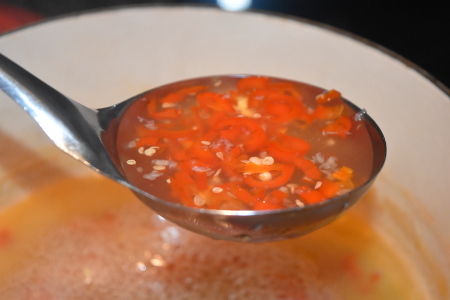 When you make your own, you can really go to town on the savoury elements of the sauce, namely the chilli, garlic, ginger and vinegar – of course, there is still a LOT of sugar that goes in, but it’s called sweet chilli sauce for a reason! Of course the other main focus of the sauce is the chilli – I like a sweet chilli sauce to have a good spicy kick, and using three mild-medium chillies gives a good enough kick that you can taste the chilli without blowing your socks off – that’s what I would recommend. Saying that, I personally prefer slightly stronger chillies, but I am aware that my palette is a lot more tolerant to spice than the vast majority of the population! Make about a 240ml (1 cup) of sauce. Prep time: 15 minutes. Cooking time: 15-20 minutes. 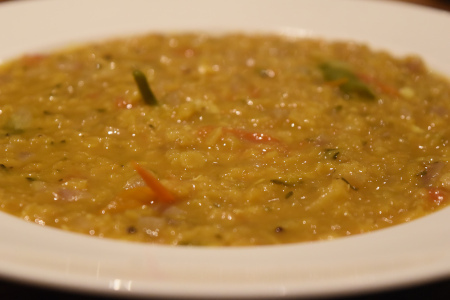 3 red chillies, finely chopped – I used mild-medium chillies, but you can choose how spicy you go! Start by pouring the water and vinegar into a pan and bringing it to the boil. Once boiling, add the sugar, chillies, garlic and ginger and leave to simmer for another 10-15 minutes on a medium heat to let the flavours infuse and reduce the sauce – I recommend leaving the lid half covering the pan, as this allows the sauce to reduce while still keeping in the heat and saving energy (thinking like a student!). When the sauce has reduced down by about half, turn down the temperature to low and add the cornflour-water mixture – this should thicken up the sauce nicely. Pour into a bowl or bottle up for later! If storing it, keep the sweet chilli sauce in the fridge and try and use it within a week. Enjoy!